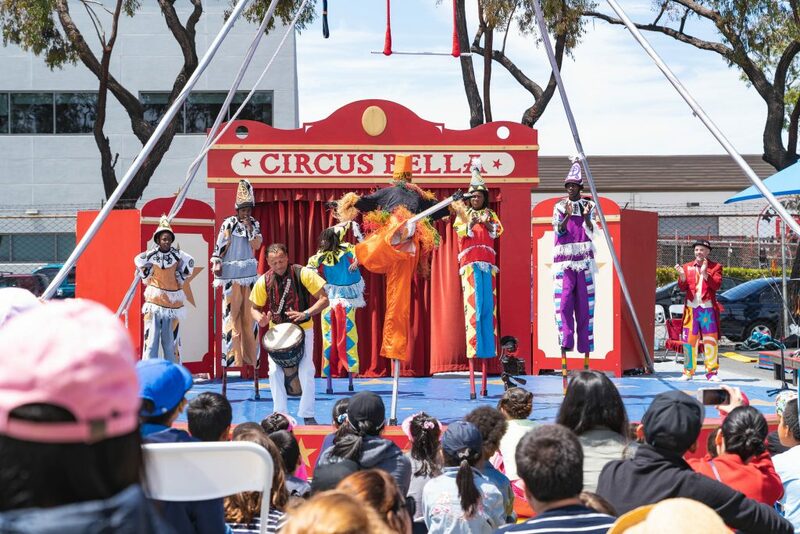 NOW Hunters Point in collaboration with the Bayview Opera House are proud to present Bayview Hunters Point’s 8th Annual Summer Circus Festival on Saturday, July 28th from 12pm – 4pm. This year we will feature Circus Bella’s “Up in the Air: Relishing the Joy of Uncertainty” Season Finale! Join Circus Bella as we delight in the unexpected, and flip and fly through uncertainty. Be a part of our 11th Annual Circus in the Parks Season featuring circus feats, ringleader surprises and aerial splendor, and as always, the Circus Bella All-Star Band. The ALL NEW Show, directed by Abigail Munn, aka High-Flying Abigail, features world-class acts, local treasures, and the not- to- be- missed “BIG JUGGLE”– our annual full-company juggling act, in loving reference to our Pickle Family Circus roots. Circus Bella partners with Prescott Circus Theatre, a youth development and performing arts program based in West Oakland, as a pre-show and opening act. There will be trapeze, rope walking, juggling, contortion, hula hooping, clowning, a giant FUN SLIDE and a live band playing original music! Circus Bella is classic circus reimagined for a modern world. Standing on the shoulders of the beloved Pickle Family Circle, we are now the Bay Area’s premiere one-ring circus, curated in the traditions of earlier eras with forward-thinking sensibilities and flair. Like the word Bella in our name, we celebrate the beauty of the circus art form and the beauty of what humans can do together. 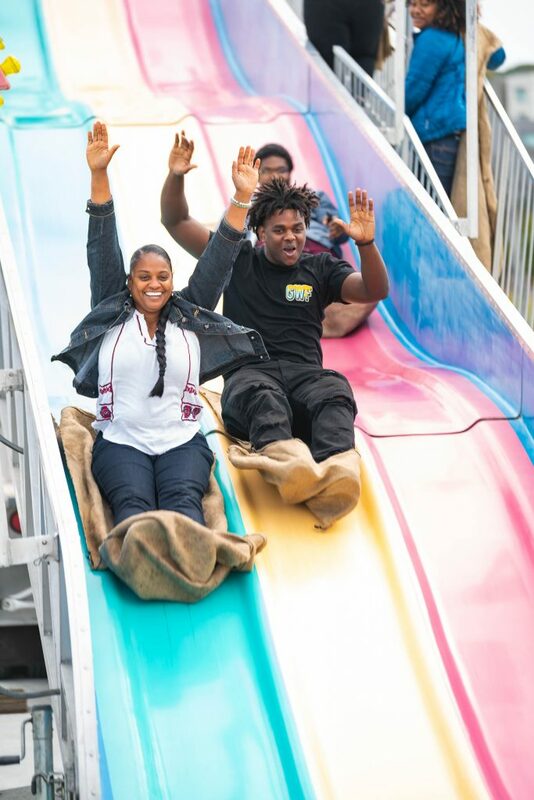 We delight in unifying people by presenting an experience so joyous and magical that it keeps children of all ages coming back again and again. With gusto and daring, humanity and heart, we connect with our audiences by way of thrilling feats, engaging camaraderie and the heartbeat of a live band! We delight in showing audiences what people can do, in ways they haven’t seen before. Audiences are bedazzled, lifted up, and join in the celebration of the heart and soul of circus: community, joy, and achieving the impossible.